In this section you’ll learn more about three different managerial styles and their impact on employee motivation. As you read, see if the descriptions fit anyone you have worked for. 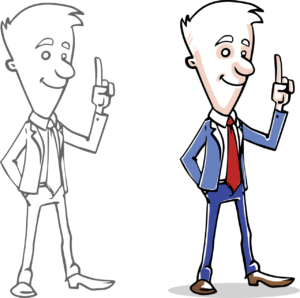 The idea that a manager’s attitude has an impact on employee motivation was originally proposed by Douglas McGregor, a management professor at the Massachusetts Institute of Technology during the 1950s and 1960s. In his 1960 book, The Human Side of Enterprise, McGregor proposed two theories by which managers perceive and address employee motivation. He referred to these opposing motivational methods as Theory X and Theory Y management. Each assumes that the manager’s role is to organize resources, including people, to best benefit the company. However, beyond this commonality, the attitudes and assumptions they embody are quite different. Work is inherently distasteful to most people, and they will attempt to avoid work whenever possible. Most people are not ambitious, have little desire for responsibility, and prefer to be directed. Most people have little aptitude for creativity in solving organizational problems. Motivation occurs only at the physiological and security levels of Maslow’s hierarchy of needs. Most people are self-centered. As a result, they must be closely controlled and often coerced to achieve organizational objectives. Most people are gullible and unintelligent. Essentially, Theory X assumes that the primary source of employee motivation is monetary, with security as a strong second. Under Theory X, one can take a hard or soft approach to getting results. The hard approach to motivation relies on coercion, implicit threats, micromanagement, and tight controls— essentially an environment of command and control. The soft approach, however, is to be permissive and seek harmony in the hopes that, in return, employees will cooperate when asked. However, neither of these extremes is optimal. The hard approach results in hostility, purposely low output, and extreme union demands. The soft approach results in a growing desire for greater reward in exchange for diminished work output. It might seem that the optimal approach to human resource management would lie somewhere between these extremes. However, McGregor asserts that neither approach is appropriate, since the basic assumptions of Theory X are incorrect. Drawing on Maslow’s hierarchy of needs, McGregor argues that a need, once satisfied, no longer motivates. The company uses monetary rewards and benefits to satisfy employees’ lower-level needs. Once those needs have been satisfied, the motivation disappears. Theory X management hinders the satisfaction of higher-level needs because it doesn’t acknowledge that those needs are relevant in the workplace. As a result, the only way that employees can attempt to meet higher-level needs at work is to seek more compensation, so, predictably, they focus on monetary rewards. While money may not be the most effective way to self-fulfillment, it may be the only way available. People will use work to satisfy their lower needs and seek to satisfy their higher needs during their leisure time. However, employees can be most productive when their work goals align with their higher-level needs. McGregor makes the point that a command-and-control environment is not effective because it relies on lower needs for motivation, but in modern society those needs are mostly satisfied and thus are no longer motivating. In this situation, one would expect employees to dislike their work, avoid responsibility, have no interest in organizational goals, resist change, etc.—creating, in effect, a self-fulfilling prophecy. To McGregor, a steady supply of motivation seemed more likely to occur under Theory Y management. The higher-level needs of esteem and self-actualization are ongoing needs that, for most people, are never completely satisfied. As such, it is these higher-level needs through which employees can best be motivated. Work can be as natural as play if the conditions are favorable. People will be self-directed and creative to meet their work and organizational objectives if they are committed to them. People will be committed to their quality and productivity objectives if rewards are in place that address higher needs such as self-fulfillment. The capacity for creativity spreads throughout organizations. Under these assumptions, there is an opportunity to align personal goals with organizational goals by using the employee’s own need for fulfillment as the motivator. McGregor stressed that Theory Y management does not imply a soft approach. McGregor recognized that some people may not have reached the level of maturity assumed by Theory Y and may initially need tighter controls that can be relaxed as the employee develops. Decentralization and delegation: If firms decentralize control and reduce the number of levels of management, managers will have more subordinates and consequently need to delegate some responsibility and decision making to them. Job enlargement: Broadening the scope of an employee’s job adds variety and opportunities to satisfy ego needs. Participative management: Consulting employees in the decision-making process taps their creative capacity and provides them with some control over their work environment. Performance appraisals: Having the employee set objectives and participate in the process of self-evaluation increases engagement and dedication. If properly implemented, such an environment can increase and continually fuel motivation as employees work to satisfy their higher-level personal needs through their jobs. 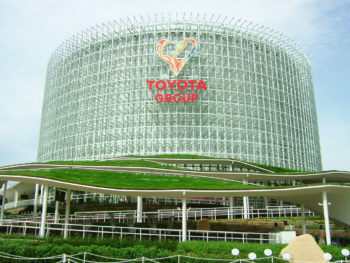 During the 1980s, American business and industry experienced a tsunami of demand for Japanese products and imports, particularly in the automotive industry. Why were U.S. consumers clambering for cars, televisions, stereos, and electronics from Japan? Two reasons: (1) high-quality products and (2) low prices. The Japanese had discovered something that was giving them the competitive edge. The secret to their success was not what they were producing but how they were managing their people—Japanese employees were engaged, empowered, and highly productive. Management professor William Ouchi argued that Western organizations could learn from their Japanese counterparts. Although born and educated in America, Ouchi was of Japanese descent and spent a lot of time in Japan studying the country’s approach to workplace teamwork and participative management. The result was Theory Z—a development beyond Theory X and Theory Y that blended the best of Eastern and Western management practices. Ouchi’s theory first appeared in his 1981 book, Theory Z: How American Management Can Meet the Japanese Challenge. The benefits of Theory Z, Ouchi claimed, would be reduced employee turnover, increased commitment, improved morale and job satisfaction, and drastic increases in productivity. Theory Z stresses the need to help workers become generalists, rather than specialists. It views job rotations and continual training as a means of increasing employees’ knowledge of the company and its processes while building a variety of skills and abilities. Since workers are given much more time to receive training, rotate through jobs, and master the intricacies of the company’s operations, promotions tend to be slower. The rationale for the drawn-out time frame is that it helps develop a more dedicated, loyal, and permanent workforce, which benefits the company; the employees, meanwhile, have the opportunity to fully develop their careers at one company. When employees rise to a higher level of management, it is expected that they will use Theory Z to “bring up,” train, and develop other employees in a similar fashion. Ouchi’s Theory Z makes certain assumptions about workers. One assumption is that they seek to build cooperative and intimate working relationships with their coworkers. In other words, employees have a strong desire for affiliation. Another assumption is that workers expect reciprocity and support from the company. According to Theory Z, people want to maintain a work-life balance, and they value a working environment in which things like family, culture, and traditions are considered to be just as important as the work itself. Under Theory Z management, not only do workers have a sense of cohesion with their fellow workers, they also develop a sense of order, discipline, and a moral obligation to work hard. Finally, Theory Z assumes that given the right management support, workers can be trusted to do their jobs to their utmost ability and look after for their own and others’ well-being. A strong company philosophy and culture: The company philosophy and culture need to be understood and embodied by all employees, and employees need to believe in the work they’re doing. Long-term staff development and employment: The organization and management team need to have measures and programs in place to develop employees. Employment is usually long-term, and promotion is steady and measured. This leads to loyalty from team members. Consensus in decisions: Employees are encouraged and expected to take part in organizational decisions. Generalist employees: Because employees have a greater responsibility in making decisions and understand all aspects of the organization, they ought to be generalists. However, employees are still expected to have specialized career responsibilities. Concern for the happiness and well-being of workers: The organization shows sincere concern for the health and happiness of its employees and their families. It takes measures and creates programs to help foster this happiness and well-being. Informal control with formalized measures: Employees are empowered to perform tasks the way they see fit, and management is quite hands-off. However, there should be formalized measures in place to assess work quality and performance. Individual responsibility: The organization recognizes the individual contributions but always within the context of the team as a whole. Theory Z is not the last word on management, however, as it does have its limitations. It can be difficult for organizations and employees to make life-time employment commitments. Also, participative decision-making may not always be feasible or successful due to the nature of the work or the willingness of the workers. Slow promotions, group decision-making, and life-time employment may not be a good fit with companies operating in cultural, social, and economic environments where those work practices are not the norm.